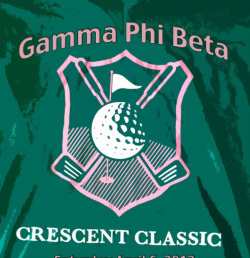 Gamma Psi's Crescent Classic Golf Tournament! The sisters of Gamma Psi had so much fun at this year's Crescent Classic Golf tournament, which was held April 6th at Fox Ridge Golf Course. At the tournament, we also had a silent auction with proceeds from both tournament play and the auction going towards Girls on the Run. Thanks to all of our sponsors, those who played in the tournament and to all of those who came out just for support! We could not have done it without you! G-A-M-M-A GAMMA PHI BETA HEY! Welcome home to all of our new members!! Shelby Bowersox, Kelsey Boyer, Brittany Brooks, Megan Burke, Kylie Cornwell, Kate Duffy, Kellsey Forest, Haley Hasenstein, Meagan Hoffman, Ellen Jelinske, Blair Jones, Mary Kapsch, Abby Kerling, Alex Maas, Jessi McEnany Mackenzie Mitchell, Morgan Neary, Sarah Phillips, Tayler Rogers, Callie Sauer, Cadence Simmons, Shana Skay, Haley Snyder, Makenzie Sterk, Karle Tilson, Maya VanDriel, Leora Wood, and Maddie Zahn.